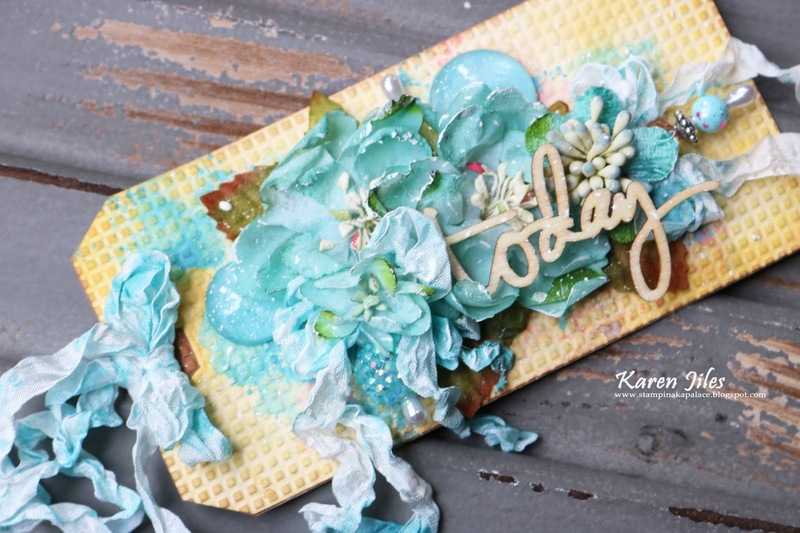 It's Karen sharing an Inspirational Tag that I created with the Design Grids Embossing Folder. I love the textured pattern in this embossing folder. It lends itself to many possibilities. I began this project by inking a manila tag with various oxide inks. After drying, I embossed the tag using the Cut N Boss machine and the Design Grids Embossing Folder. I then applied vintage photo ink to the tag to enhance the grid pattern. 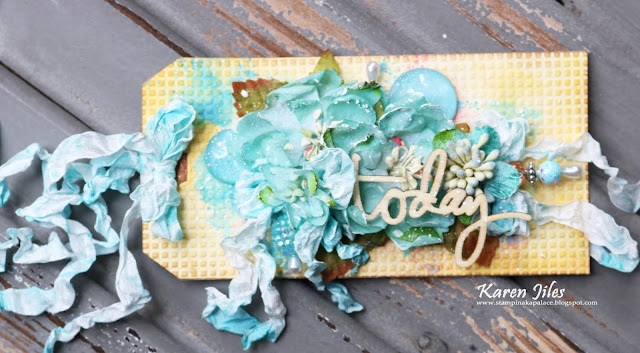 This created the perfect background for the additional embellishments that I used. As shown, I used flowers, beaded pins, clear pebbles and dyed ribbon. I accented and highlighted elements with some gesso. I reinforced the tag with chipboard and it's ready to be used as art décor or gift giving. Loved the end result!